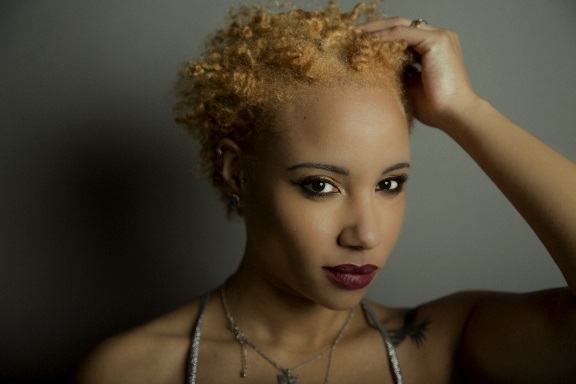 Soulful Brit singer Natalie Duncan has been likened to FKA Twigs and Kelela. Coincidently her latest EP ‘Black and White’ was produced by Liam Howe who has also produced for FKA Twigs. One of her tracks ‘Kingston’ has us particularly intrigued as it can only be described as giving off a lazy hip hop/trap feel but one to keep you dancing on your feet to no end. Stimulate Your Soul chats to Natalie about the progression of her sound, what is was like working with Jools Holland and the truth behind her eyes turning blue. Margaret Tra writes. You have a similar style to FKA Twigs and Kelela - how did you progress to this sound? I didn't really know about Twigs and Kelela when I started writing for the Black and White EP. It happened about a year ago when my friend and bassist at the time introduced me to a friend of his who was producing in a studio in Stoke Newington. It turned out he was one half of Exmoor Emperor who are 2 lads from Skipton, Yorkshire. They're musicians as well as producers and were a cut above the other people I was working with at the time. I was so taken by their uniquely small drum machine loops and dreamlike synthesisers that I couldn't say no to it. It reminded me of Bibio and James Blake who were regulars on my iPod back then. I think the combination of the melodic production talent and my songwriting and vocals just clicked. We had the pleasure of working with Liam Howe (Sneaker Pimps) for the mixing of the EP – he actually produced Twigs' first EP so that was a happy coincidence. We've written so much now, an album is definitely coming. You just dropped ‘Kingston,’ tell us about how that song came about. Kingston is one of my favourite songs we've done because of it's lazy hip hop/trap feel. I was sitting on this Exmoor Emperor beat for ages, not knowing what to write on it and after a drunken night, the lyrics for the verses just came! Musically, the song evolved quite a lot before it became what it is now, it was actually a tough song to get nailed, for that reason it was one of my most enjoyable co writing experiences with them. Always! I never stop writing music and am always collaborating with new people. You also did a track with DJ Q, what was it like working with him? DJQ was definitely feeling the vocal I did for my track 'Oh My God' and I was fortunate enough to get him to remix it! He basically seasoned the song with some garage and made it fire. I know, that was weird!! Nah, I have some blue contacts which are prescription, the pointless cat is out of the bag. In all honesty, I'm a bit blind so I wear contact lenses whenever I'm out of the house. (glasses are not my friend) I remember when I was about 13, I wore some blue lenses for a few weeks in school and I got so much attention! It was awful. I was way too shy for that kinda limelight. Oxtail cooked by my mum or Auntie, any literature by Chimamanda Ngozie Adichie, any song by Elliott Smith and of course, cats.